Clay Aiken – Everyone Gets A Moment Or Two To Shine. What is the most popular tree-topper? 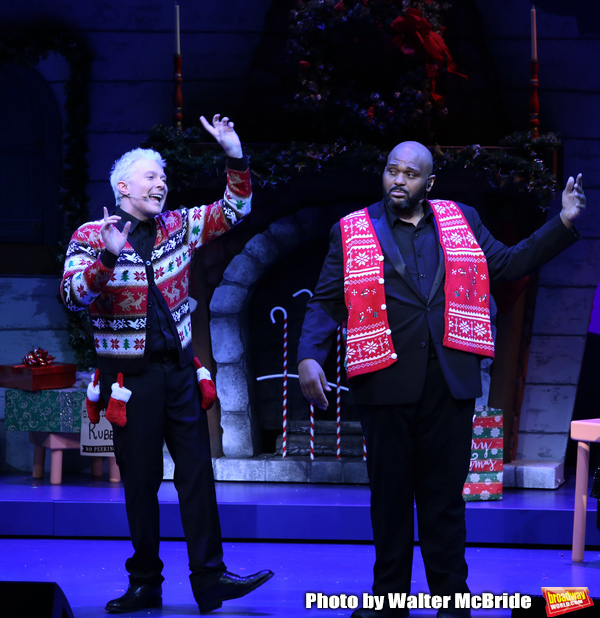 The site, BroadwayWorld, has been very supportive of Ruben & Clay’s Christmas show. They have posted many articles and pictures and have had nice things to say about the stars, the cast, and the entire show. Michael Dale was the last person to write about the show. For 20 years, Michael performed in dinner theaters, summer stock and many other shows. He finally turned his ambition to writing. He has been in the field of broadway shows for many years and is now BroadwayWorld’s first Chief Theater Critic. It was fifteen years ago when over forty million people tuned into the season two finale of “American Idol” to see Ruben Studdard win the crown over runner-up Clay Aiken. This reviewer wasn’t one of them. And aside from Aiken’s stint on Broadway as a replacement in SPAMALOT, he’ll admit to not having paid much attention to the careers of the two vocalists. But, based on the enjoyable antics now on display at the Imperial titled RUBEN & CLAY’S FIRST ANNUAL CHRISTMAS CAROL FAMILY FUN PAGEANT SPECTACULAR REUNION SHOW, the fellows have definitely found an interested viewer if they ever hosted a television variety program. TV variety is the inspiration for this sweet and sincere, modestly-produced entertainment, where the stars are presented as a sort of Donny & Marie/Sonny & Cher comedy pair, with writers Ken Arpino and Jessie Joyce supplying lighthearted jokes about their rivalry (A running gag has top billing on the show’s logo changing every time one scores a victory over the other.) and variations on old chestnuts about ugly holiday sweaters and having to pay a penalty whenever your language slips into something beyond family-friendly boundaries. Arpino is part of the talented ensemble of singers jazzing up the proceedings, including Broadway vet Farah Alvin and newcomers Julian Diaz Granados, La’Nette Wallace and Khaila Wilcoxon. 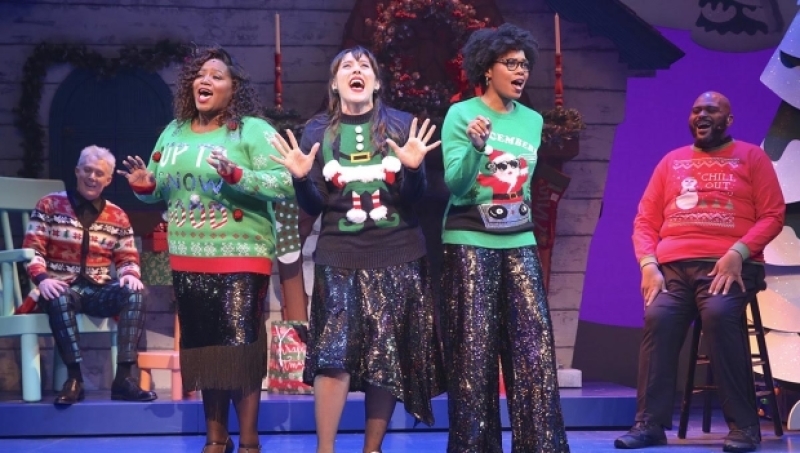 Despite the show’s “American Idol” pedigree, the style here is enthused musical comedy belting and everyone gets a moment or two to shine. Aiken is the more energized star, merrily diving into song and dance routines, hitting money notes with power and displaying a fine knack for comedy. 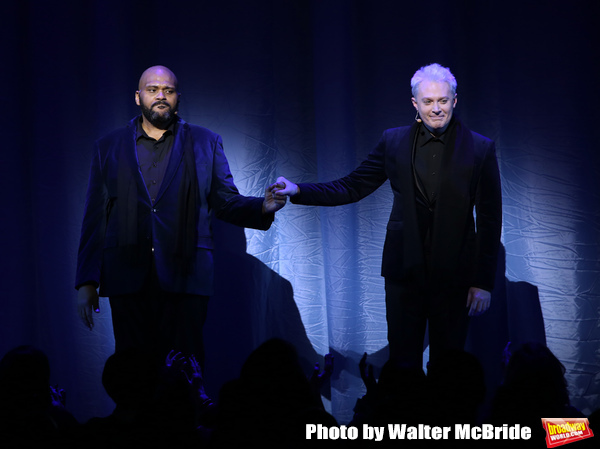 Studdard is low-key, though sometimes to the extreme (the bit about him using an onstage toilet has to go), but he’s definitely in his element when alone on stage, beautifully crooning in his soft r&b style. The second act opens with a video about the National Inclusion Project, a non-profit benefitting autistic child which was co-founded by Aiken in 2003 and is the recipient of part of the production’s proceeds. 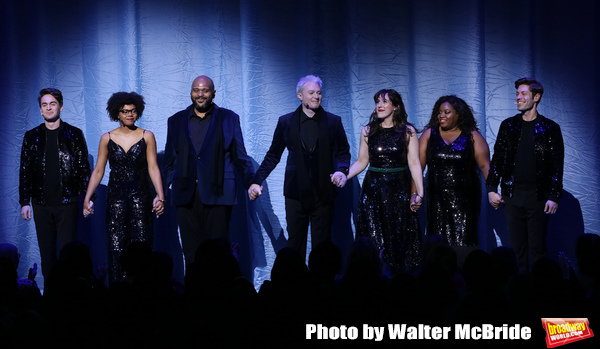 In the next-to-closing spot, both fellows share personal stories with the audience about their families, what Christmas meant to them while growing up and the paths that led them to this Broadway show. RUBEN & CLAY’S FIRST ANNUAL CHRISTMAS CAROL FAMILY FUN PAGEANT SPECTACULAR REUNION SHOW doesn’t claim to be sophisticated or flashy Broadway entertainment, but it’s sincere and pleasant and just may set your heart all aglow for a couple of hours. There are some people in life that make you laugh a little louder, smile a little bigger, and live just a little bit better. That was a great review and thank you for bringing it all here for us to enjoy! a chance to shine. Good to hear he is still doing that – Clay is a very generous man! Clay certainly makes my life more than a little better! There are people in my life who do make me inspire me to be better and one is Clay Aiken! Thank you, CANN for the great review and pictures! Thank you for the review and pictures. I hope you enjoy the show, whom ever goes to see Clay and Ruben. Error: Error validating access token: Session has expired on Tuesday, 21-Aug-18 16:13:01 PDT. The current time is Friday, 26-Apr-19 00:13:52 PDT.